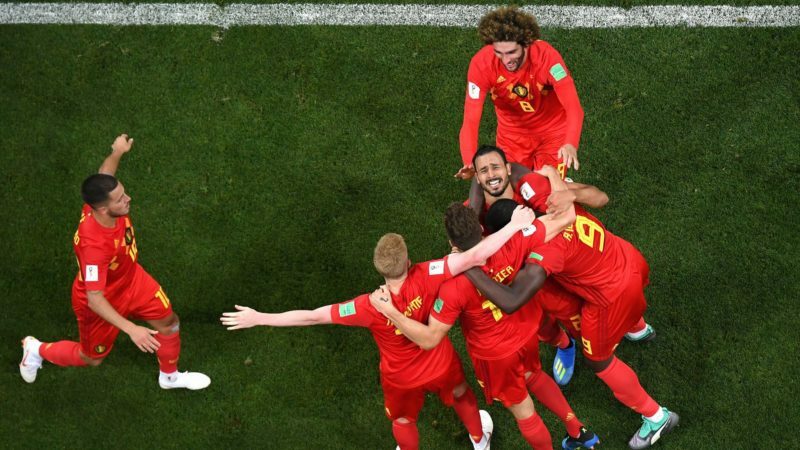 Belgium came back from two goals down to beat Japan 3-2 in the Round of 16 match on Monday to set up World Cup quarter-finals against Brazil. It was the first time since 1970 that a team came from 2-0 down to win in the knockout stages of a World Cup. The last team to do so was West Germany, when they defeated England 3-2 in the 1970 World Cup. While West Germany scored the winner in the extra time, Belgium won the match in the normal time. The first team to do so since Portugal defeated DPR Korea 5-3 in the 1966. It was also only the sixth time in the history of the tournament that a team won in the knockout stages after going two goals down. Japan crashed out following the defeat but not before they created history. Genki Haraguchi’s goal which gave Japan the lead was the country’s first ever in a World Cup knockout round. The Asian side scored six goals in the 2018 edition, their highest ever goal tally in a single World Cup. The winner was scored by Nacer Chadli in the stoppage time. It was the ninth 90th minute winning goal in this World Cup. The previous five editions (1998, 2002, 2006, 2010 and 2014) together accounted for just 10 90th minute winning goals. Genki Haraguchi scored in the 48th minute followed by Takashi Inui’s goal in the 52nd minute as Japan led 2-0. Nacer Chaldi capped a comeback from a two-goal deficit when he scored in the fourth minute of injury time to give Belgium a 3-2 victory.